Probably one of the hottest things I have going right now is the exotic woods that I now offer as a handle option on my tried and true line of Florida cow whips. 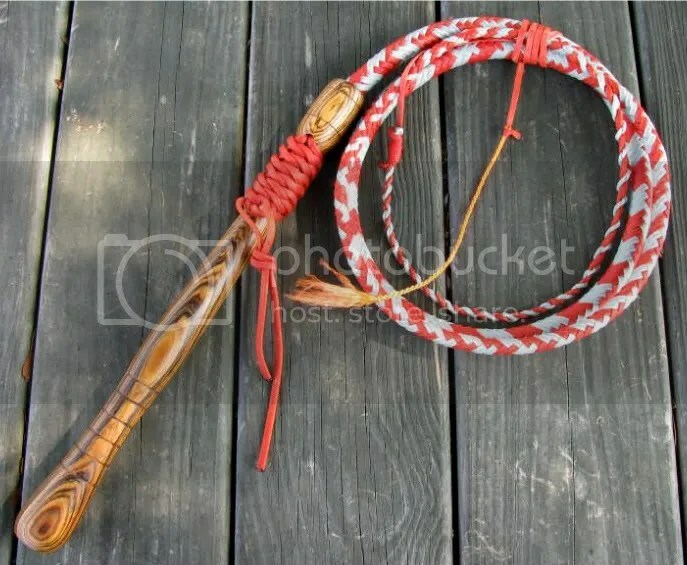 In the past month, almost every cow whip ordered has been ordered with an exotic handle. I’m really kicking myself for not doing this years ago. The various species of ebony that I offer have been very popular, with cocobolo and bocote running not far behind. Though the exotic wood option is more expensive (depending on the wood), the fact that my cow whips are still among the best priced on the internet make them a great value even with the exotic handle. And as always, each handle is crafted by your’s truly. If you haven’t already, please visit the exotic handle gallery above and check out some of my latest handles. By the way, if you already have a good cow whip, I would be happy to turn you a custom exotic handle for it: you don’t have to buy an entire whip to get one of these handles. For order inquiries and pricing, call me or email me. My contact info is listed here. As I turn more types of wood, I will be adding pictures. I have a new Argentine Lignum Vitae blank that I am just itching to put on a whip. I’ll post a picture of it once I get it turned. P.S. Don’t forget that the prices of my bullwhips and snakewhips have just been lowered. Read all about that here. This entry was posted on Thursday, June 18th, 2009 at 12:05 am	and posted in Cow Whips, exotic wood, nylon whips, whip handles. You can follow any responses to this entry through the RSS 2.0 feed.